It's Just Mobolaji | Music & Entertainment: [Competition]: WIN Mr. Garbe ‘Icon’ & ‘Celebration’ Tees, FOUR to Giveaway! 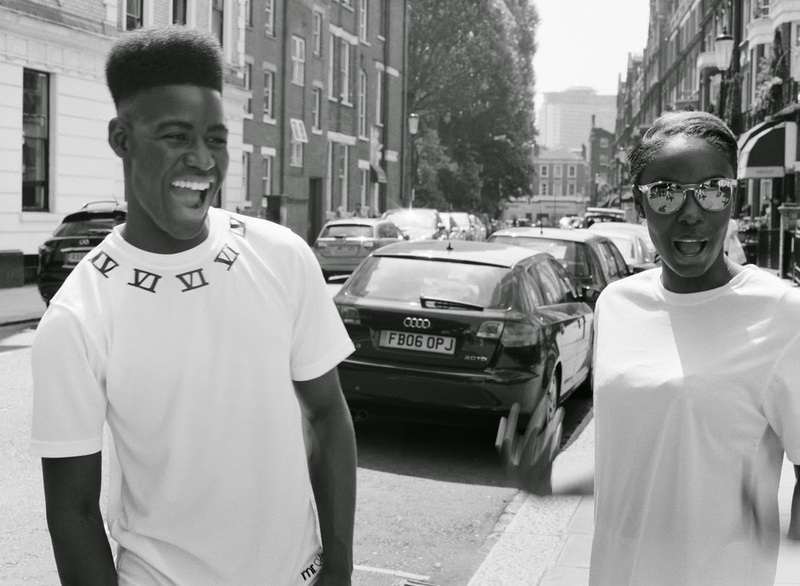 [Competition]: WIN Mr. Garbe ‘Icon’ & ‘Celebration’ Tees, FOUR to Giveaway! It's Just Mobolaji has teamed up with an amazing t-shirt brand that goes by the name Mr. Garbe for this one off competition. 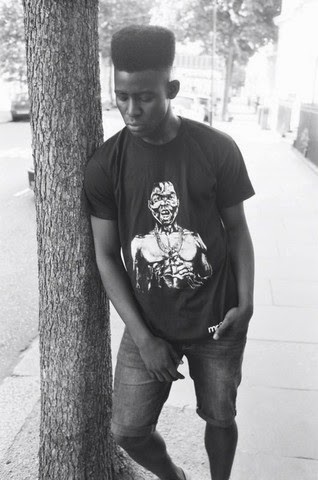 Mr. Garbe is a UK based label, established in 2012. The brands aesthetics is solely based on African history and modern African culture. The aim of the brand is to inspire change and influence the current African generation to make it better for the upcoming generation. The ‘Icon’ tees are seven designs made of seven famous icons from Nigeria who have helped shaped Nigeria to make it what it is now. The seven iconic people are MKO Abiola, Wole Soyinka, Chinua Achebe, C. Odumegwu Ojukwu, Sani Abacha, Ken Saro-Wiwa and Fela Anikulapo Kuti. 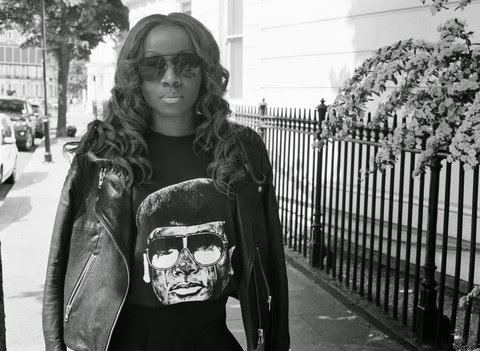 Stylist and creative designer of the brand Bella Adeleke speaks on the brand saying "in their own field, and in their own way they're the reason why we have the Nigeria we have now in some sort of way, and they should not be forgotten." The icons on the tee are transformed into what they would look like in this generation with snap backs, chains, spikes on their jackets - making it very urban and chic to wear. 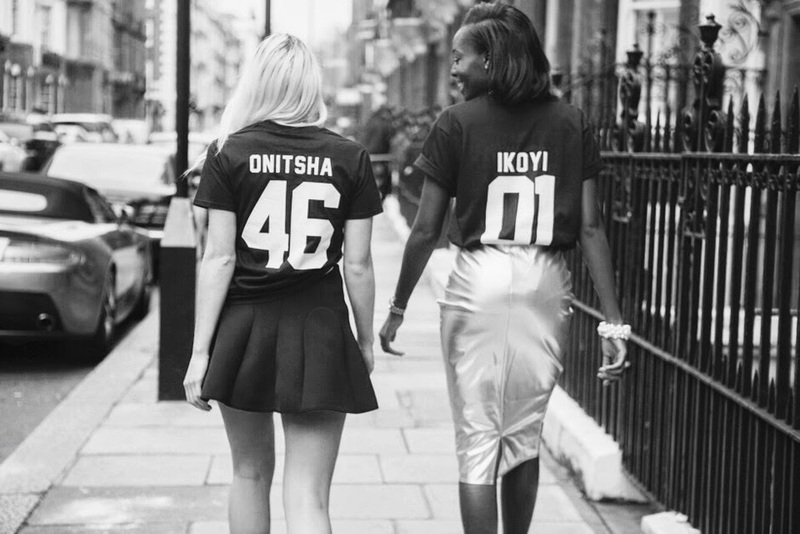 The ‘Celebration’ tees are tees with numbers on the back i.e. 'Ikoyi 01' like the ones photographed above. The numbers represent the niatel codes (which have been discontinued) of the different states in Nigeria. I'll be giving away FOUR t-shirts, one from the ‘Icon’ collection and three from the ‘Celebration’ collection. And to win - all you have to simply do is answer ONE of the FOUR questions listed below. - What state is Burna Boy originally from? - Name a Northern state in Nigeria? - What does 'Ile Ife' mean in English? - What was Abacha's job occupation? Follow me on twitter @Mobolaji_ if you're not doing so already! Email itsjustmobolaji@gmail.com with the subject title being 'Mr Garbe Competition', with your full name and t-shirt size (small, medium, large). Competition ends on Thursday 31st July, 2014 and the winners will be contacted and announced on Friday, 1st August 2014! Please note that whatever question you answer correctly is the t-shirt you'll be receiving - winners to be selected at random. Best of luck and check out some of the collection below!